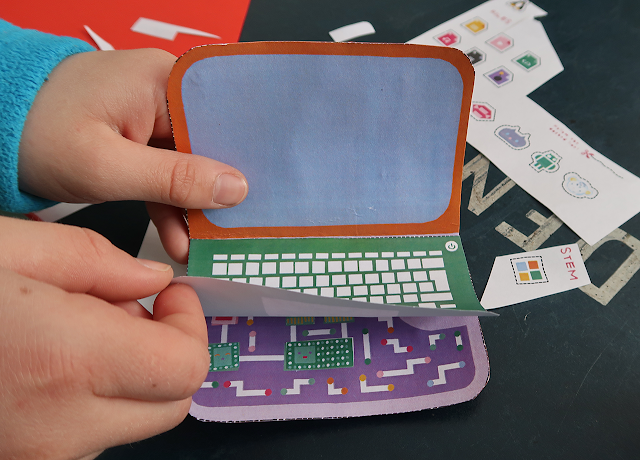 If you're looking for a fun paper-based computing activity for children then My First Computer from the Hello Ruby book, by Linda Liukas, is great. Hello Ruby is a series of books about computers, coding and technology for children (and adults like me!) The whimsical stories lets you journey with the main character, Ruby, and learn how computers and technology works. Half the book is the story and the other half activities. Hello Ruby - Adventures in Coding is the first book by Linda Liukas (published October 2015) and contains 10 different activities. There are also additional activities and resources available online. If you're looking for a screenless activity that still involves computers, this is the one! 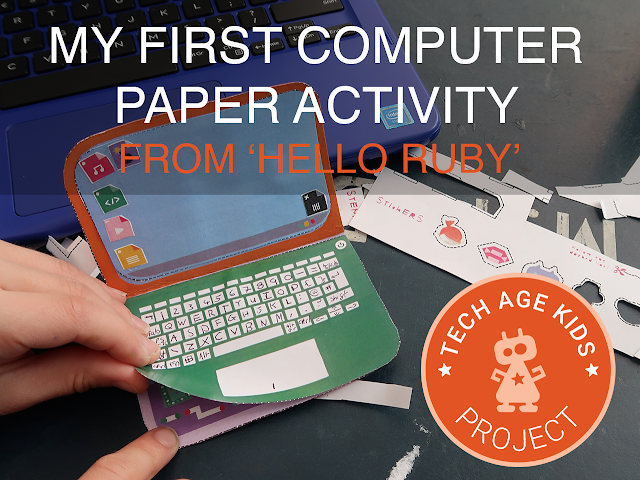 You can find all the resources for this activity on the Hello Ruby website. There is a linking activity where you connect the descriptions of computer components with their names. It's useful to do this one before making the computer so that you can learn about the different components. 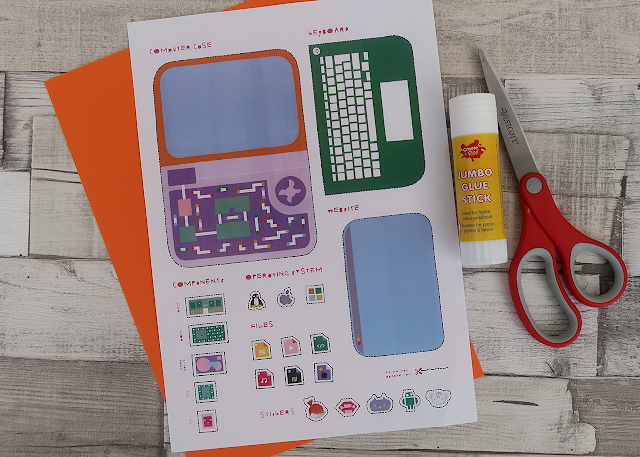 To make the paper computer you will need scissors, glue stick and optionally some card to make it a little sturdier. A downloadable printable is available which is best printed in colour. 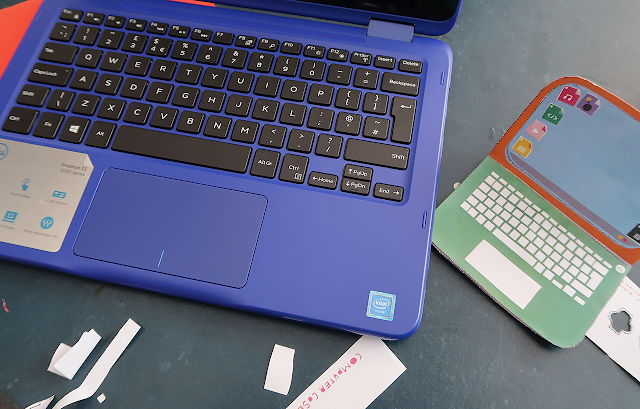 We made our laptop case sturdier by gluing it to a piece of card. Our tip would be to start with the components first. 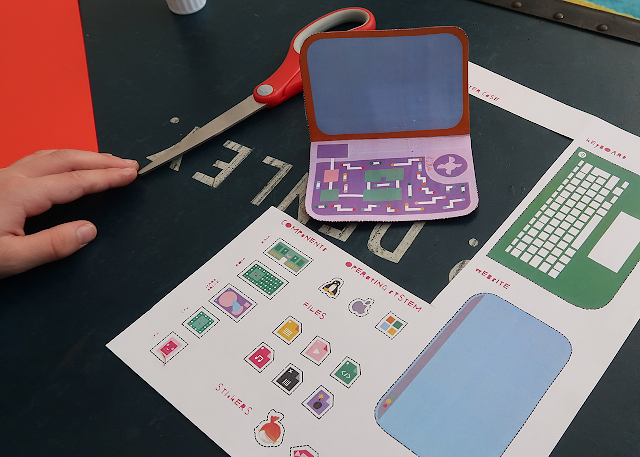 Younger kids may need some help to cut out the tiny components. My 9-year-old son and the children at school were able to do this activity independently. I had to help my 7 year old with the smaller pieces. When you are ready to add the keyboard only put a strip of glue at the top part so that you create a flap and can still see the components under the keyboard. 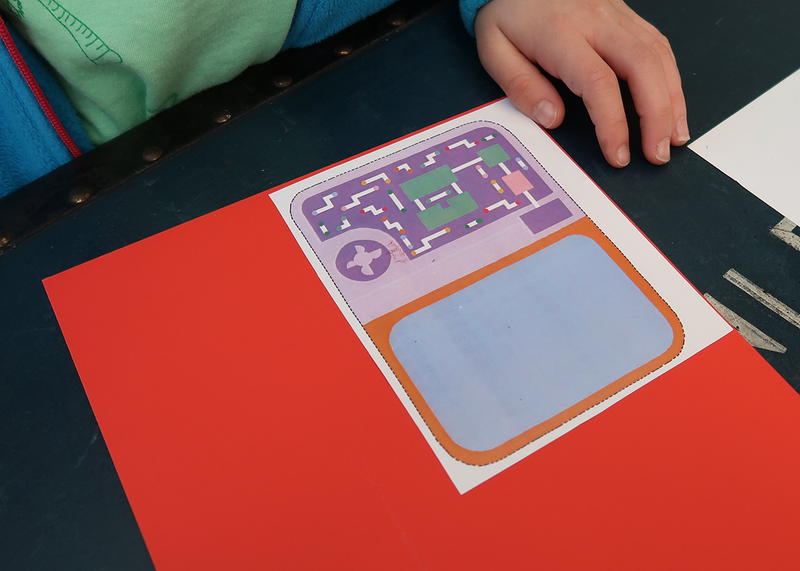 There are more games and activities available on the Hello Ruby website. The Hello Ruby books include more games, exercises and activities. A second book Hello Ruby: Journey Inside the Computer (published October 2017) is also available and the third book Hello Ruby: Expedition to the Internet is coming in October 2018.